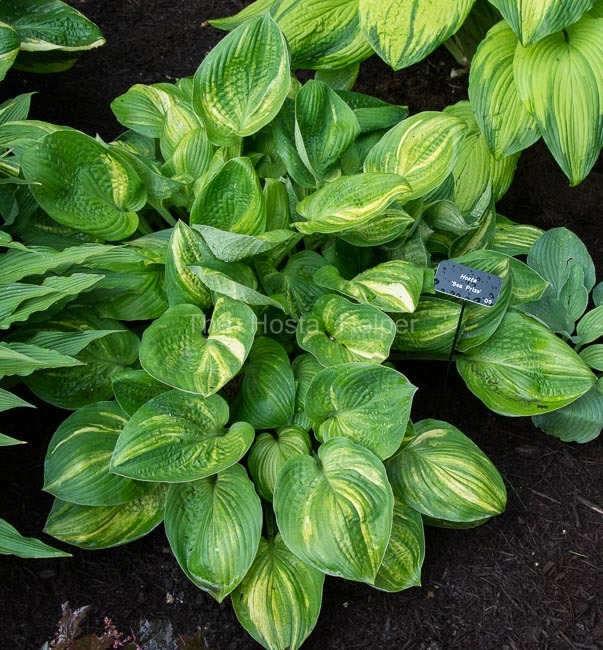 This very prolific hosta of unidentified parentage was originated by Mildred Seaver of Massachusetts and registered on her behalf by Kevin Walek (Hosta Registrar) in 2009. It is an upright growing hosta that grows into a large size about 20 inches high with a spread of around 47 inches. 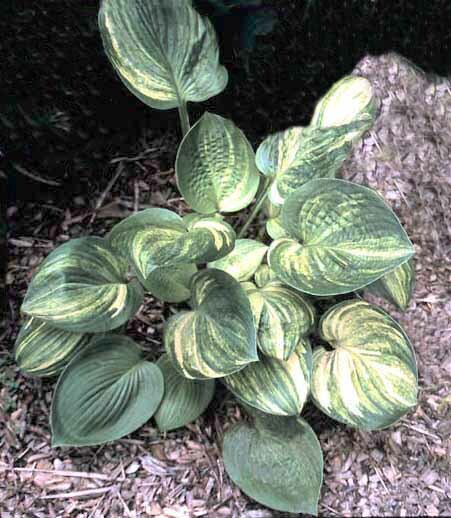 The foliage is light green with mottled creamy white, yellow and green streaked variegation. Its leaves are lightly corrugated and broadly ovate. Pale lavender flowers bloom in July. According to The Hostapedia by Mark Zilis (2009), "In the garden, 'Sea Prize' makes an interesting, highly variegated specimen plant and has been easier to maintain as the true plant than many other streaked cultivars. It has become an important breeding plant, yielding a high percentage of variegated seedlings. The late Dr. Ed Elslager of Michigan, in particular, relied heavily on 'Sea Prize' in his breeding program. He registered forty cultivars with 'Sea Prize' as the pod parent." At the base of the specimen shown above, there is a reversion with three all green leaves.